Hearing Help | I'm hard of hearing, so what? 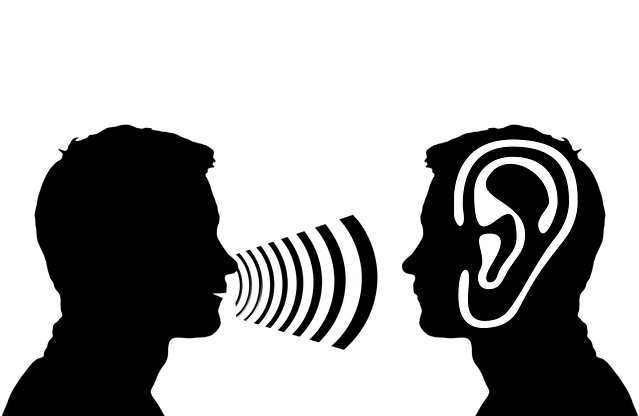 Hearing Help – I'm hard of hearing, so what? I'm hard of hearing, so what? Since my sudden hearing deterioration I use various aids to help me hear. I first began with an FM system. For those who do not know what an FM system is: I carry a receiver about my neck, and the microphone I place on a surface between me and whoever I am talking with. Or if it is a lecture, I ask the speaker to please wear the microphone around their neck. In the hearing aid, there is a so called telecoil that directly connects with the FM system. I can strengthen the sound if that is my preference, This accessory only works in a calm environment however, because it is not just the voice that is amplified, but also the background noise. That really bothers me. I have tried out my accessory in restaurants, but was soon exhausted by all the background noises. I’ll admit that my FM is over 8 years old, and the newest models have far advanced from what they were. Since I got my newest hearing aid, I use an accessory, called Streamer, to listen to the TV or the phone. The receiver is wirelessly bound to a small box, and that box is connected to the TV. That usually works very well. When I phone, the connection is through Bluetooth. This means everything is wireless. I hear whoever is phoning me directly through my hearing aids, and I speak to them through a microphone around my neck. That too works very well. The only thing that is bothersome about it is that I have to leave the microphone around my neck all day if I want to take the call as soon as it rings. However, since I do not like to be limited, you can imagine that it does not work that way. Fortunately, not too many people call, and if they do, I let my husband handle the call. But if I do have to handle it, then I find that the device is very useful. In my last apartment, I had a warning device installed on the doorbell. Sometimes the doorbell was too quiet and I could not hear it. The warning device, once connected to the doorbell would provide a visual signal for me that the bell was being rung. I could carry the receiver with me wherever I happened to be in the apartment and it would reliably alert me. These days, there are far more devices that can assist with hearing loss. I would definitely recommend that anyone with a hearing loss obtain the right sort of accessory and use it. The price is high, I know, but it is worth it. You are less tired, and your quality of life goes up, and that is worth it. Try out various devices until you find one to your liking, and let yourself be advised independently to ensure that the device is suited to your needs. I once thought I would not need such devices. I was wrong. Today I am happy that these devices exist, and daily get more used to using these devices. For my well-being.